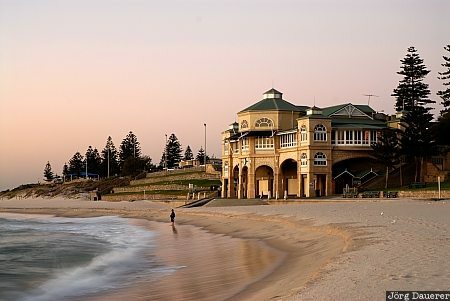 The Indian Teahouse on the beach of Cottesloe, Western Australia, Australia just after the sun had set. This photo was taken in the evening of a sunny day in March of 2007. This photo is part of the exhibition The Beach (June 2015). This photo was taken with a digital camera.